2. Tiered Terracotta Planter – I love this project from Amy at Positively Splendid because it’s a simple design idea to dress up your garden entrance. 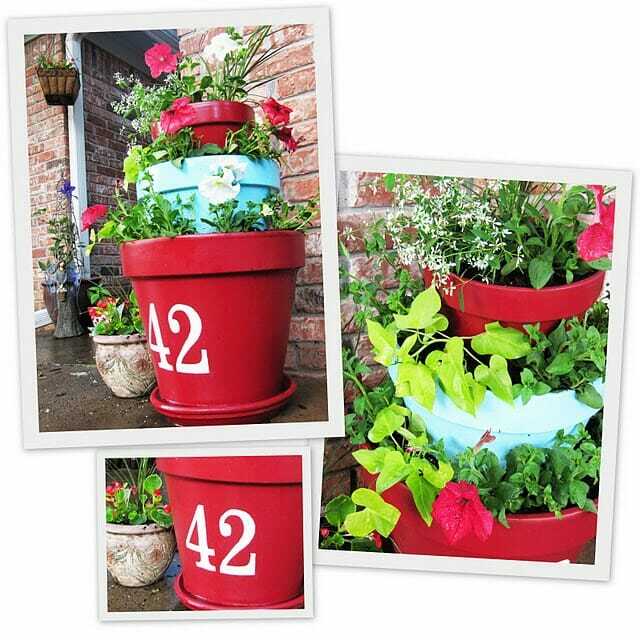 It’s also a funky feature for a street number or to add to your front verandah with colours and plants you like. The concept is simple: take three standard pots – one large, one medium, and one small – and nestle them within one another to create a planter that is cost-effective but has the WOW factor! Paint in colours that suit your tastes and fill with your favourite plants. Using mini sized pots it makes a great outdoor table centrepiece – plant with trailing herbs and edible flowers to garnish your meals. 3. 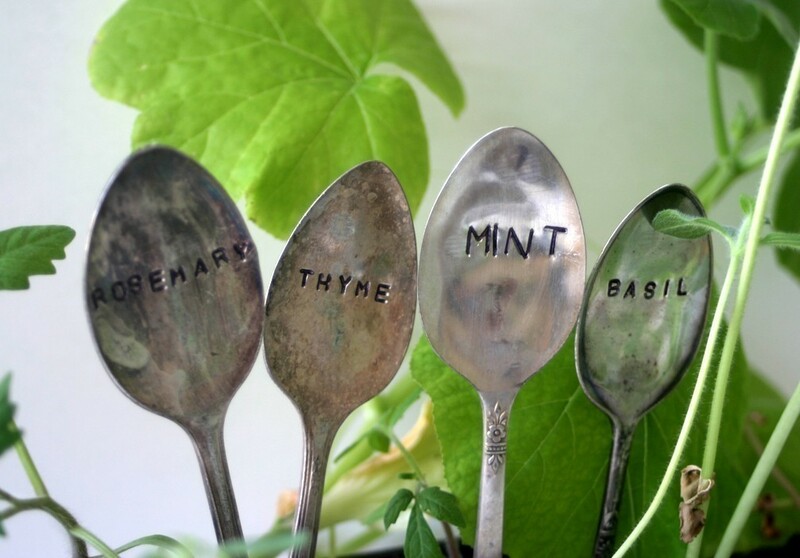 Spoon Plant Markers – If some of your cutlery has given up the ghost or you’re looking for a unique gift to make a fellow gardener, follow the instructions from Amanda at I.Garden on making these cool plant markers. 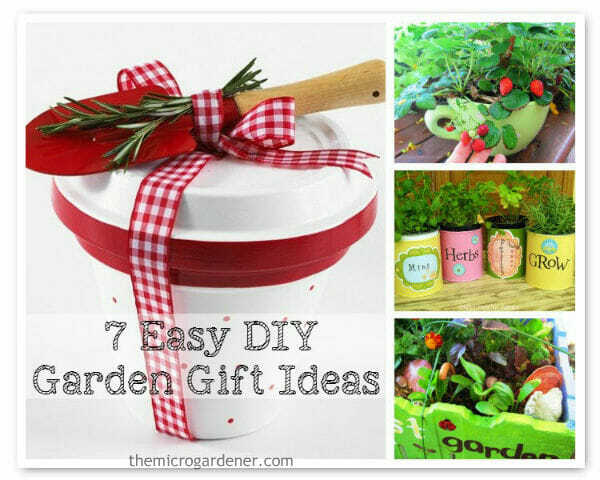 Make a set, pop in a pot with a herb or packet of seeds and tie with some rustic string! What gardener wouldn’t love that? If you have an old knife or two, save yourself the hassle of flattening a spoon – just punch the letters straight on! If you’ve been following my blog for a while, you’ll know I’m all for repurposing items rather than wasting them. 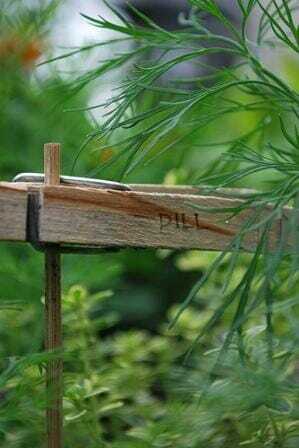 So here’s another way to upcycle and make long-lasting low-cost plant markers from old venetian blind slats. 4. Mini-Blind Plant Markers – With only one set of old mini-blinds*, you can make hundreds of plant markers in various sizes and widths that are virtually indestructible! 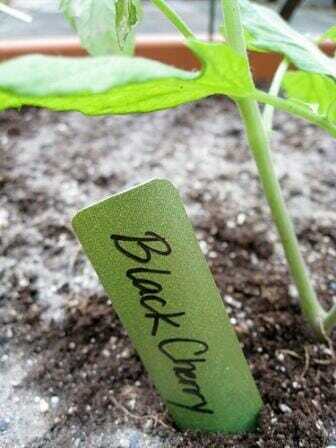 The plant markers can be written on both sides so there’s plenty of room for plant details. Kim at The Sassy Crafter can show you how to paint the slats for a more decorative look but you can just as easily use them plain! (* Make sure you only use lead free blinds). After decorating, the slats are cut to the right shape and you can write the names of the plants using a chinograph pencil (available at art supplies & stationery shops) – they last much longer than permanent markers! 5. 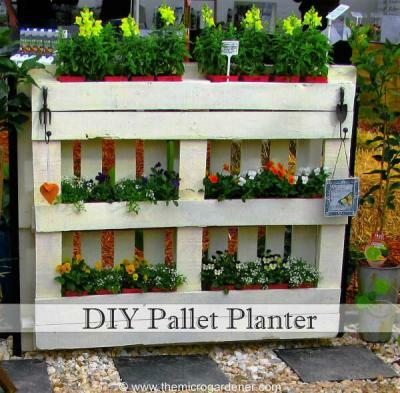 Chest of Drawers Vertical Garden – Meg at Diggerslist provides all the instructions to make this vertical garden by reusing old furniture. If you don’t have a chest of drawers to repurpose, you can still get some inspiring ideas for clever containers by turning trash into treasure. If you don’t want to fill the drawers with soil/potting mix, then use them as cachepots for smaller pots or containers. A coat of paint will help furniture go the distance outdoors. If this is a micro garden for kids, let them have a corner of your backyard and paint up their stackable grow drawers in bright colours! One drawer could be used to store small garden tools like a watering can, trowel and plant food. Sit a number of smaller self-watering pots inside the drawers; or a shallow tray inside with pots or containers on it so the water drains into the bottom of the tray; or use a cake rack sitting in a shallow tray and put the plants in pots on top of that. Line the drawers with plastic so the bottom is not damaged and depending on the drawer measurements, use a shallow polystyrene box inside and just grow herbs and greens that don’t require much soil depth. When you need to water you can take the poly box out, let the water drain away and replace it in the cachepot (drawer). Grow succulents and use as ‘garden art’ rather than just for edibles – succulents are attractive but require little water or maintenance. If the drawers have a flimsy bottom, replace with some wire mesh nailed on for natural drainage and strength. The possibilities for micro gardening in repurposed containers are only limited by your imagination! 6. 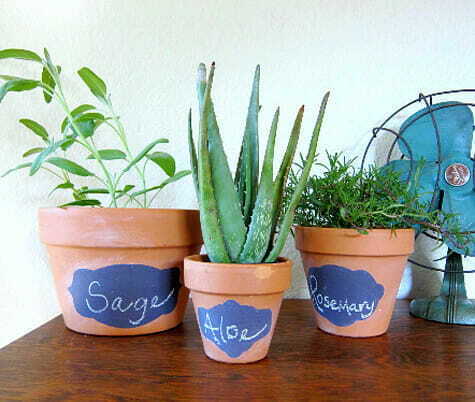 Chalkboard Pots – If you have some terracotta pots lying around needing a revamp, Bonnie from Design Sponge can show you how to make them more decorative. An ideal project for kids too! 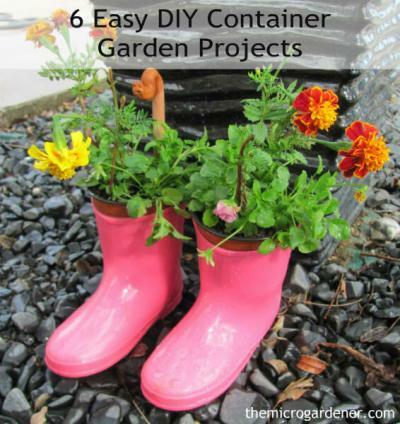 With this simple project you don’t have to just use pots! Chalkboard labels will work well on old jars, crates and storage boxes too. 7. Tin Can Herb Garden – Upcycled Stuff has some easy instructions on turning tin cans into planters and even making them into a hanging vertical herb garden. Check out some other tin can planter projects here. Small cans are perfect for herbs and make attractive and edible table centrepieces. Paint them in whatever colours suit your style or encourage children to cut out contact or use stickers to decorate. 8. Short of Space? Make Your Own Gutter Gardens – When Suzanne Forsling moved to Alaska from Iowa, she found that getting her garden to grow was somewhat challenging. Frustrated by cold soil, too much shade, and voracious slugs, root maggots, animals and birds all wanting a share of what she did grow, she started thinking creatively and has been able to solve her problem by taking advantage of vertical space. You can check out this project here. 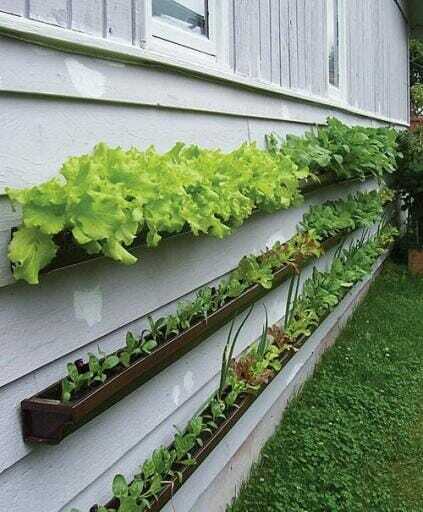 If you like this space-saving concept, I would suggest making similar shaped planters out of food safe materials like untreated timber (preserved with linseed oil), rather than PVC, vinyl or metal gutters which can leach toxic chemicals into your food. By using the wood siding of her house on the sunny side, she was able to get her crops up off the cold ground and into the light by affixing rain gutters in rows and using them as planters. One safe food alternative rather than metal, PVC or vinyl gutters is untreated wood planters (preserved with linseed oil). Attaching the planters to small wood blocks between the house exterior also avoids water damage. 9. Repurposed Bird Feeders – We have a diverse habitat in our garden so there are lots of wild birds including rainbow lorikeets, parrots, tree hoppers of all kinds and honey eaters amongst others. Many of them take care of our pest management – if you enjoy feeding birds in your backyard, check out these easy ideas for repurposing toilet rolls and milk bottles from Dani Hurst or visit 5 Thrifty Recycling Ideas for more projects like this. 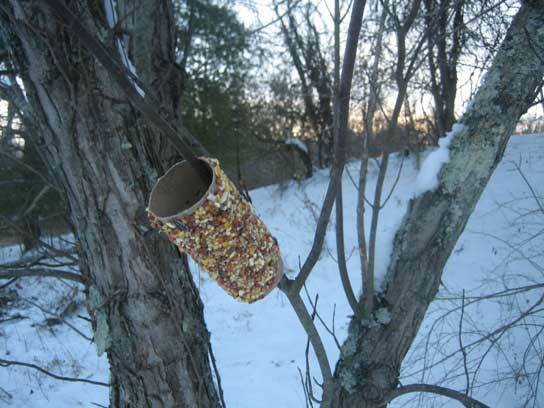 One of the designs is a peanut butter bird feeder made from a toilet roll and stuck on an upwards facing branch. 10. 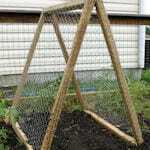 Portable Garden Trellis – This project is perfect for urban gardeners with minimal space or renters who need a temporary solution and want to try out a vertical garden. 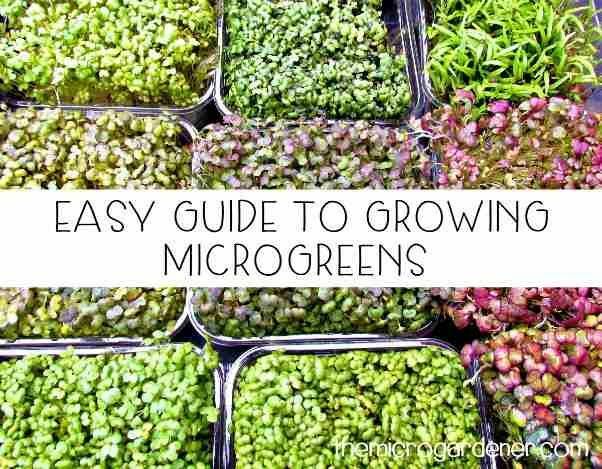 It can easily be moved to different locations around your backyard — or to a new urban garden altogether! Download all the instructions here or make your own bamboo tepee in under a minute which is perfect for pots and small spaces. Portable A-frame trellis: an easy DIY lightweight design that you can take with you. 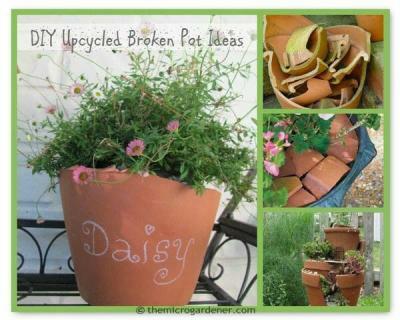 What are your favourite DIY garden projects or ways you have reused items for your garden? For more DIY Gardening ideas, check out the Repurposed Planters articles, How to Projects & Recipes, Garden Projects for Kids and visit the Frugal Gardening category. These are great! Thanks for the inspiration! I have an old metal file cabinet that I want to turn into a food garden container. Would there be a risk of it having been coated with a lead based paint, and if so how would I test it? It is getting rusty on the outside from sitting out, but the inside is pretty perfect. Is rust a problem with growing foods? Dee, you would have to check with the manufacturer to know for sure what the metal filing cabinet is made from, and whether a lead based paint was used. Here in Australia most metal filing cabinets are made from galvanized steel and can leach zinc. Steel rusts when it comes into contact with water and oxygen. The rust could possibly contain residues if the paint was lead based so to be safe, you may want to err on the side of caution and either use your cabinet for ornamentals or use something else. You can learn more about rust @ https://en.wikipedia.org/wiki/Rust. Hope this helps. Happy Holidays! Keep up the great content! Great to hear from you again and see what you’ve been up to. What a great tutorial you’ve done – congratulations and thanks for sharing. Got me thinking about a similar project here for our front porch! Thanks for the inspiration. Enjoy your holidays too and I’m sure it will give you the chance to think up more creative ideas! Great post! Thank you for including our DiggersList.com “Chest of Drawers Vertical Garden”…we love it, too! In kind, we will be re-posting the “Tiered Potted Planters”-love that idea and the plant tips and will most likely make that my weekend DIY project! Thanks Skaie – trying to bring the creative gardeners out of the woodwork with these sorts of DIY projects. Some of these ideas are amazingly simple but practical and pretty too. I’ve also started a conversation on Brisbane Local Food (a local community of gardeners) where one of the members offered a chest of drawers for free. 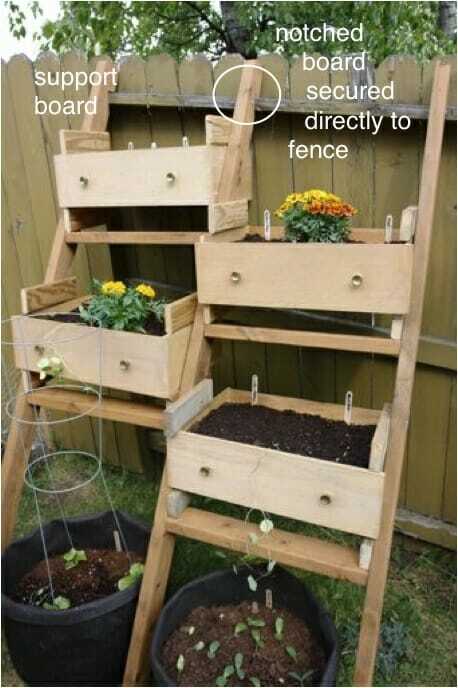 I reposted how to repurpose a chest of drawers into a vertical garden using this idea and photo. Maybe someone will be inspired and grab the opportunity!